Science Technology Engineering & Math (STEM) or STEAM (arts included) is the 'top-of-mind' topic of every progressive educator. Add to that Design Thinking, Digital Literacies and 21st Century Skills. Not to leave out Tinkering spaces, Innovation Hubs and Experiential Learning. Who can you partner with for all these? 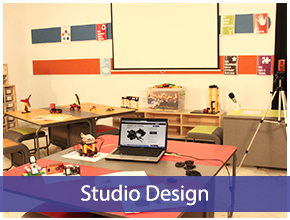 Creya Learning & Research (2011), the pioneer and most awarded STEM learning and Design Studio Program inspires 50,000+ school students every day to become inventors and innovators by working on projects across diverse manipulative sets from Robotics to Engineering design to Coding to Cameras and IoT. We are a team not just with passion, but also extensive experience in the education space and deeply invested in the 'thinking through tinkering' movement. We are what our partner school and their students are. Creya XEL 2.0, our STEM Learning Program is available for class 1 to 10 and helps young students build empathy to the world around them through the Design Thinking Framework. As they work on interdisciplinary projects cutting across Math, Science, Social Studies and ICT, they connect classroom theory to solving for real-world problems. The end result is students equipped with 21st Century Skills:Thinking Skills (Creative, Critical, Communication and Collaboration), Digital Literacies and Life Skills. An engaging activity to think algorithmically and apply math, science and logic to design and build machines that make life easier. From Rovers to Robot Pets. IoT is a fun way to work with electronics and the Arduino platform to code everyday applications and control them from anywhere. With a range of building parts from axles to wheels, gears and motors, the possibilities of constructing are endless, learning limitless. Digital devices and internet are here to stay. Learning to use audio, video editing tools along with story-telling combines arts with the smarts. To create, you should empathize, recognize problems to solve, design, prototype and test solutions for them. From Thinking of Design to Design Thinking. It’s not about Java or C. It’s about developing abilities to think computationally and creatively to code games, apps and virtual reality. With so much clutter and confusion out there, what you need is a proven, effective and complete solution that you can trust your students’ future and the school’s reputation with. For over 5+ years, schools have relied on the 3 key components of our solution: Lab equipment & Studio design supported by a well-researched Project Curriculum and the Training & Support Systems. 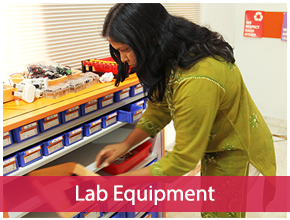 The diverse range of manipulative sets in the Creya STEM Lab ensure that students work on different tools across the academic year and their imagination is not limited by availability of tools. The importance of a well designed project curriculum cannot be over-emphasized. From Guided activities to open-ended Capstone problems, students experience the complete cycle of 'learning by doing'. The best equipment and curriculum are of no use without a robust training and hand-holding that helps the teacher to become a 21st century coach. 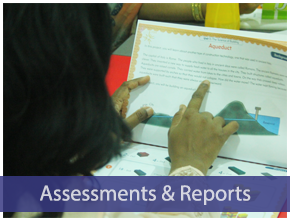 Our first of its kind 360-degree assessment includes feedback from self, peers and the teacher ensuring students know their progress while school managements get reports on implementation. A room by any name looks the same. Wrong. With small changes, a classroom can be made to become an inspiring place for students to look forward to. Our design elements bring that difference. 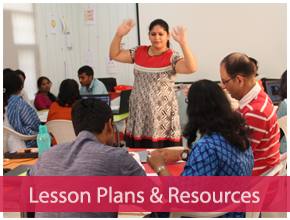 Detailed lesson plans and abundant resources make sure the teachers are not overwhelmed but are well equipped to guide and facilitate the imagination to construction process. 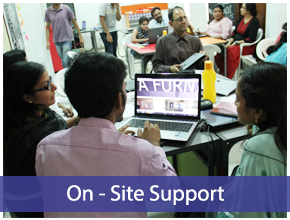 Our continuous support to the teacher includes unlimited email/phone/skype sessions as well as regular scheduled on-site visits spent in the school Creya classroom for observation and remedial training. We understand the importance of visibility of the results. 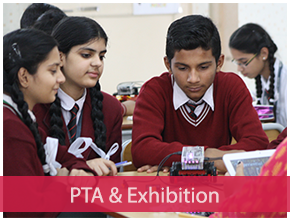 Creya includes specific support days for PTA and School Exhibition to include student demonstration of Creya STEM Lab Projects. It is very easy to talk about our belief in our product, project curriculum and our training and support. But for you, the proof lies in seeing how much of it translates to students’ experience. Why don’t we take a look at them below..
From Ferozepur in the North to Madurai (south), Guwahati in the East to Pune (west), we have our partner schools with the Creya XEL STEM Lab & Design Studio. Our Advocacy and Implementation teams are spread across India to ensure we give reliable and robust implementation support to you, always. While we are not a big fan of the trumpeting testimonials, we also wanted to make sure you know what some of our partners and stakeholders think of the program. Listen to a few students, teachers and trustees. Like to continue reading more about STEM? STEM education is a trans-disciplinary method of learning that aims to teach students using concepts and practices from the four core disciplines of Science, Technology, Engineering and Mathematics. 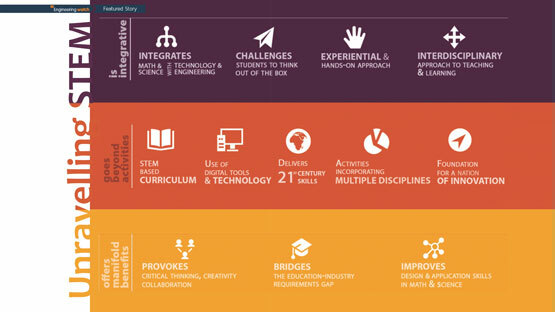 The Creya XEL Studio Based Learning Program is India’s only true integrative STEM education program that is designed to be holistic, experiential, and geared to deliver 21st century skills while incorporating Design Thinking approaches. Careers today are about what employees can do with the wealth of information freely available, rather than with acquiring information. STEM education will help create the knowledge workers, scientists, engineers, thinkers and innovators that our society and industry require. It will play a vital role in the competitiveness of India in the global economy, and in our future economic prosperity. The Creya XEL Studio Based Learning Program is built upon the core precepts of STEM education with inputs from experts across the globe and experienced professionals in STEM Education. It provides a systematic, well-defined framework based on which interdisciplinary teaching may be successfully achieved. Several schools have already partnered with Creya Learning to inculcate STEM education into their school day, with great success. Given that STEM education is a new concept, training teachers in STEM pedagogy is critical to the success of delivering the program. 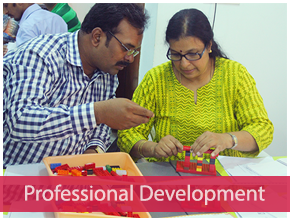 Creya provides extensive and elaborate training as part of its implementation process; thus ensuring schools have a solid foundation for delivering true STEM education. Contact Creya to learn more about how to give the STEM advantage to your students. 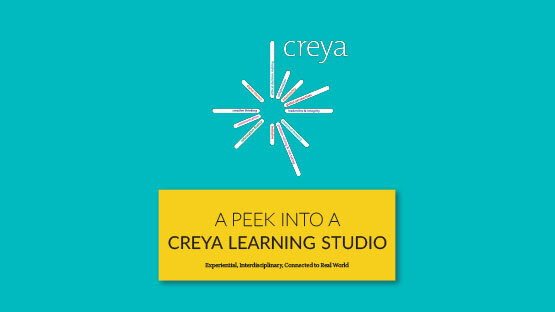 Click below to deep dive into Creya XEL or know about our other exciting offerings like the Meerkats After-school program, Summer Camps or the Ignited Minds Challenge, a national level school-event on design and innovation.